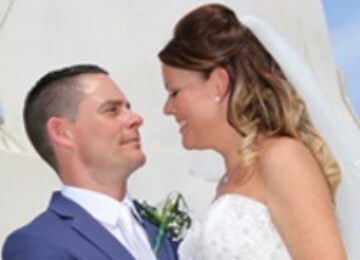 We booked our wedding 18 months ago with Unforgettable, Tracy was brilliant answering all of our emails & questions & arranging everything for us. Nothing was too much trouble, and when it came to flying out last week we were both a little sad when she called us to say goodbye after dealing with her for so long. Justine & her team were amazing out in Rhodes. They took care of everything for us, we didn't have to think about a single thing! Our wedding day was perfect, better than either of us could have ever imagined. Samina did a fantastic job with our hair & make up, the bridesmaids looked stunning and the photographers were brilliant. We came home with so many amazing photos, our DVD is out of this world. Mark the DJ was fantastic too he made sure he had all the songs we requested and he also took some brilliant pictures of us all. Everyone commented how perfect the day was & we couldn't agree more, it really was the best day of our lives & it's all thanks to Unforgettable. We couldn't have done it without you, thank you so much! 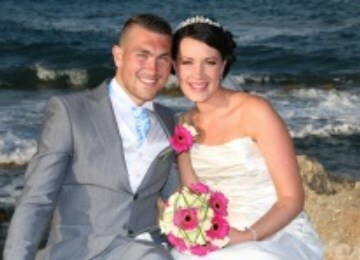 We just want to say a huge thank you to all at Unforgettable Rhodes Weddings for everything that you have done for us. The team were fantastic and worked so hard to ensure that our day was absolutely perfect in every way. We have honestly had the most amazing day and it was even more beautiful than we could have imagined. Nothing has been too much trouble and the team have been able to put us at ease and answer any questions we have had. Everything ran smoothly and the photographer, guitarists etc were brilliant! The whole process was kept very professional but personable at the same time, everyone we spoke to from the team seemed to genuinely care and want perfection for us! We can honestly say that we are truly grateful for everything and couldn't have done it without the unforgettable team. Thank you for making this experience and the day so special and perfect!!! To the whole URW team, Myself and Jonny would like to say a massive thank you to each and every one of you for making our wedding absolutely AMAZING! Tracy was fantastic, organising everything from the UK and putting up with my many email requests. Justine we knew when we first met you over a year ago, there was no doubt that you would make everything we wished for happen. Samina & Carly were brilliant, such lovely ladies and made myself, the bridesmaids and both mums feel a millions dollars. I absolutely loved my hair & make up, Samina is a very talented lady. The Avalon Photography team were so professional and really put us at ease and reassured us that we’d get the shots we hoped for. The flowers and the detailed decorations at both Kalithea Spa & the Rodos Palladium hotel were beautiful and just what we wanted. We wish you all the very best and would recommend this outstanding team to anyone who wants the wedding of their dreams! Vivien and Peter would personally like to thank Tracy for organising everything back in England for our vow renewals for our 25th wedding Anniversary, you did us proud Tracy. The location and venue was fantastic, we couldn't have chosen a better place. We would also like to give a big thank you to Justine, the owner of Unforgettable Rhodes Weddings and her team in Rhodes. Justine you kept us calm on the day, helped everyone out, made sure everything ran smoothly, and made us laugh. The Venue, Island Blue veranda and Elias restaurant was decorated beautifully. We would also like to thank Chris the driver, you did us proud. Also a big thank you to Mel and her husband from Avalon Photography. The photos are top class and it's going to be hard to choose 30 for them to print for us. Peter and myself wouldn't have changed anything, everything was fantastic. 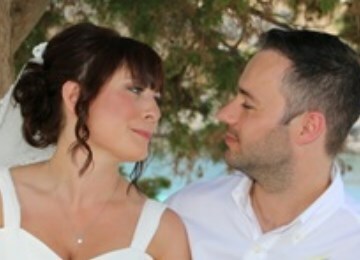 Anyone thinking of getting married on Rhodes Island please please don't hesitate get in touch with Tracy or Justine of Unforgettable Rhodes Weddings, you won't be disappointed. My husband and I would just like to thank Justine and the team for making our day so special. 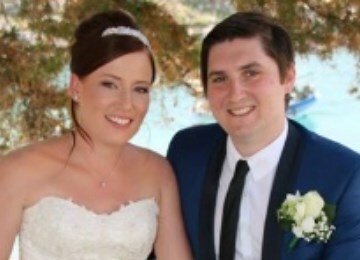 We got married at St Paul's bay on 16th September, and didn't have any guests! Initially we weren't sure whether this would be possible however from day one the team have done everything they could to support us, from sorting out documents and making sure we had what we needed, to arranging our wonderful flowers, hair and photography. Justine even arranged our two witnesses! We had a guest free wedding to keep costs down and wanted an intimate ceremony. The day was beautiful and exactly what we wanted, Justine stayed with us throughout the ceremony and made sure we felt comfortable and at ease. The day couldn't have happened without the team and I just wish they could arrange our reception now we're back in the uk! If anyone is considering a guest free wedding I would recommend it, we haven't regretted it for a second! Thank you so much to Tracy, who was there from day one answering all of our questions and helping us plan our wedding. Nothing was too much trouble. Once we arrived in Greece we had a run though with Justine, who again was fab! All pressure and stress was taken away and we were able to enjoy the build up to the wedding knowing everything was in hand! The day ran so smoothly and was everything we had ever hoped for. Thank you to Unforgettable Rhodes Weddings for making our day perfect.